In a society plagued by mass shootings, depression, and suicide, we must be more open about our emotions. Last month, I read an Inc. article titled The Psychological Price of Entrepreneurship. For the first time, I processed what I’ve gone through founding World Advisory over the last decade. It hit me hard. And I broke down. Working 18+ hour days while widely ignoring sleep, eating and exercise has taken a devastating toll on my health and well being. I’ve been beyond exhausted and it’s affected me and those close to me. The article, however, introduced me to a condition called Hypomania. A mild form of manic depression (which runs in my family), it’s marked by a never ending energy and thirst for achievement coupled with feelings of emptiness and despair. It’s no surprise that entrepreneurs overwhelmingly suffer from this, for better and worse. Myself included. Fortunately, Hypomania can be managed largely through practicing healthy habits, stress relief, and self control. I’ve made changes over the past few weeks, including seeking therapy, and am now in a much better place. I’ve finally found peace in my work and its role in my life. But what’s been most helpful is opening up about it. I thank my devoted AND PATIENT wife Michelle for being my rock. I’ve put her through a lot, yet she’s been by my side in my darkest moments. I love you! I thank my mother Betsy Johnstone, for not only supporting me, but for her work as President of NAMI Albemarle. She’s received multiple awards for her contributions to mental health through NAMI including Chowan County, NC’s Humanitarian of the Year. You’re my hero, Mom! 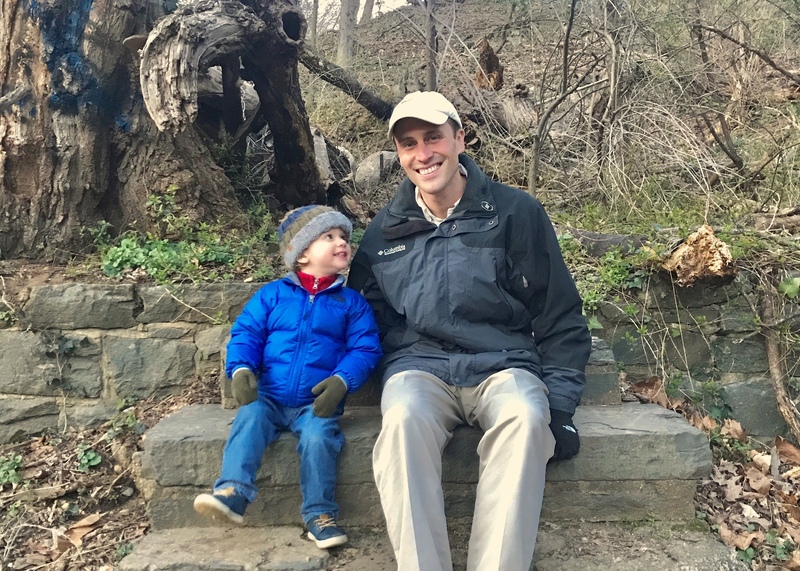 This photo of Bennett and I was taken by Michelle this afternoon at a personal place in Rock Creek Park where I clear my head and have built much of World Advisory.